惠妮官網經典MV倒數-"I Wanna Dance With Somebody (Who Loves Me)"
本週惠妮官網經典MV倒數-"I Wanna Dance With Somebody (Who Loves Me)"
(New York, NY -July 28, 2009) Fueled by the continuous excitement from last week's much-buzzed about Whitney Houston album listening events in New York and Los Angeles, Arista Records has moved the release date of I Look To You up to August 31st. As a gift to her fans, a free download of the album's title track, powered by Yahoo! 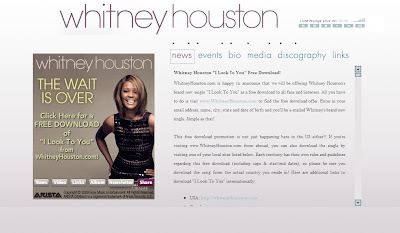 Music, is available now at www.WhitneyHouston.com until July 31st. 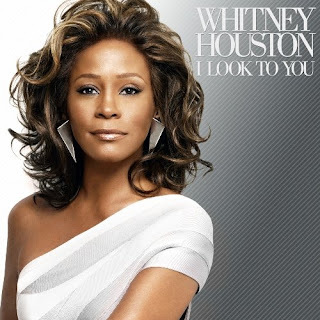 "I Look To You," a sweeping ballad with Whitney's signature soaring vocals that fans have come to love, was written by R. Kelly. 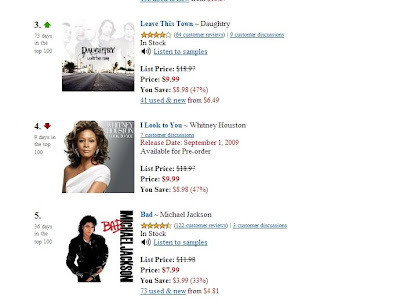 I Look To You, Whitney's 7th studio album, boasts a who's who of A-List songwriters and producers. Whitney Houston, the beauty with the megawatt voice, and Kevin Costner, Hollywood's iconic superstar actor, made screen history in "The Bodyguard." 17 years later, Costner still remembers the decision to cast Houston in the film. 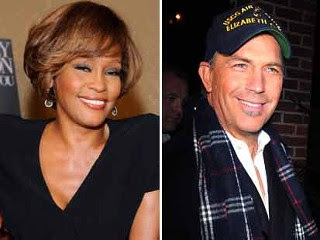 "I remember Whitney before she was in the movie," Costner said. "And I just looked at her and I said, 'Oh man, this girl really -- she just really has it.'" Their on-screen chemistry and Costner's vision for how Houston's singing would thread the film together led to a movie that made an indelible mark and to the most successful film soundtrack of all time. Costner calls Houston "a true beauty, and such a musical instrument." 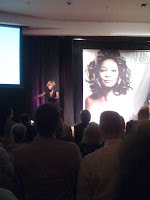 Whitney Houston and Clive Davis previewed Whitney's new album "I Look To You" last night in L.A. and there is no question that it was the talk of the town! Whitney was looking happy and absolutely stunning and don't just take it from us....take a look at some of the great reviews from last night's event. 惠妮官網經典MV倒數-"It's Not Right But It's Okay"